Home Ideas Look Ma, No Brakes! 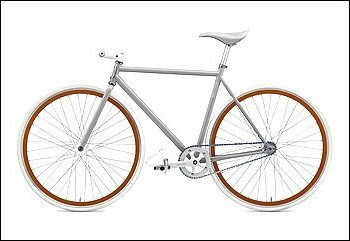 A fixie has one speed, which makes it difficult to pedal uphill. A classic fixie has no brakes, which makes it difficult to slow on the downhill. A fixie has no freewheel, the part that makes coasting possible. Instead, the chain directly drives the rotation of the rear wheel, which means the pedals always turn while the bike moves.